John Carter retired from JCB after 60 years with the company. For six decades, John Carter has embodied the spirit of JCB, the world's largest privately-owned manufacturer of construction, agriculture and defense equipment. The company bid farewell to the happy-natured journeyman whose career spanned three countries, included 15 different job titles and influenced thousands of colleagues. Speaking at a farewell ceremony at the company's headquarters in Pooler, Ga., JCB North America President and CEO Richard Fox-Marrs commented on Carter's career: "As much as John's 60 years of service to JCB is an incredible achievement, perhaps his greatest contribution comes not from how long he served, but how he served. For as long as I have known him, no matter the challenge, John has rolled up his sleeves, got on with it and delivered outstanding results. And he's always done it with a smile. "And while we all wish him the very best in retirement, he will be genuinely missed by everyone at JCB," said Fox-Marrs. Carter shared with his colleagues the wisdom acquired over his long career. "If there's one bit of advice I'd like to share, it's to embrace every opportunity and give your all to everything you do. "You never know what new opportunity will spring from what you're working on today," said Carter. Carter's career with JCB began when he was hired as a 16-year-old cost clerk at JCB global headquarters in the United Kingdom. "It was 1959 BC," Carter joked. "Before computers!" Upon his return to England, Carter became the accountant for JCB Service, Earthmovers, Research and Farms. He then became a founding member of a new budget control team where he developed a unique understanding of the entire business. 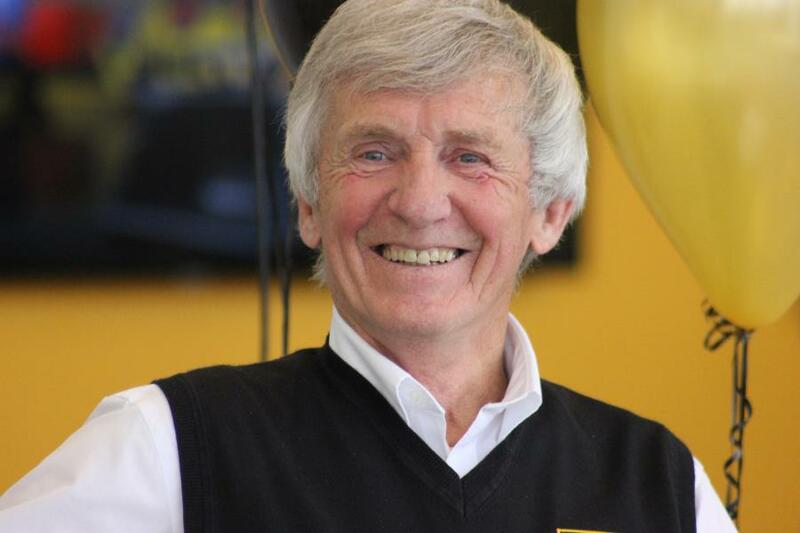 Later in the 1970s, Carter immigrated to Canada as the new parts manager of JCB Excavators Limited. There, he was instrumental in establishing an initial North American distribution network. It was at this time that Carter became a Canadian citizen. He also began working closely with John Patterson, who would later become the global CEO of JCB and the chairman and CEO of JCB in North America; to this day the two men maintain a close relationship. In 1981, JCB Excavators Limited and JCB Inc. merged and Carter transferred to Whitemarsh, Md., as the parts manager of North America, a role that required extensive travel throughout the contiguous U.S. states and every Canadian province. In 2000, JCB North America relocated to its new headquarters in Pooler, Ga., along with Carter and his parts operations. Soon after the move, Carter transferred to the SAP Implementation Team for warehouse management and production planning. Carter then became a change manager of SAP integration. This was followed by a term in the attachments division, and even a period as the headquarters facilities manager. It was at this time that he became a citizen of the United States, forgoing his Canadian citizenship. Carter relocated to York, Pa., in 2014 as regional business manager, before returning to the North American headquarters two years later as a project manager. "It speaks volumes of John that he is so loved and admired by hundreds of his teammates," said Tonya Poole, vice president of human resources at JCB North America. "He is a role model, not just for professional excellence, but for team work and team spirit." In retirement, Carter and his wife Jean will move to Pennsylvania where he says he will attend to a long neglected "honey-do" list. Those who know him best, however, wonder how he'll manage that from the back nine at the Cool Creek Golf Club.